Tech, trends and light at the end of the tunnel- we caught up with Jennifer to find out a little more about our Spring Assortment! Q. Tell us about our assortment of glass in the new Spring Collection. A. Our glass assortment is fresh, fun, and full of flora and fauna! I think we all naturally gravitate to light and bright colors as Winter is ending. It's like a light at the end of the tunnel. Q. We have a really exciting new product category- Tech! Tell us the story behind the Wire Weights. A. They are clever little items that solve a common daily irritation. It's so annoying when you unplug your phone or tablet from the charger and the cord immediately falls under your desk or nightstand. 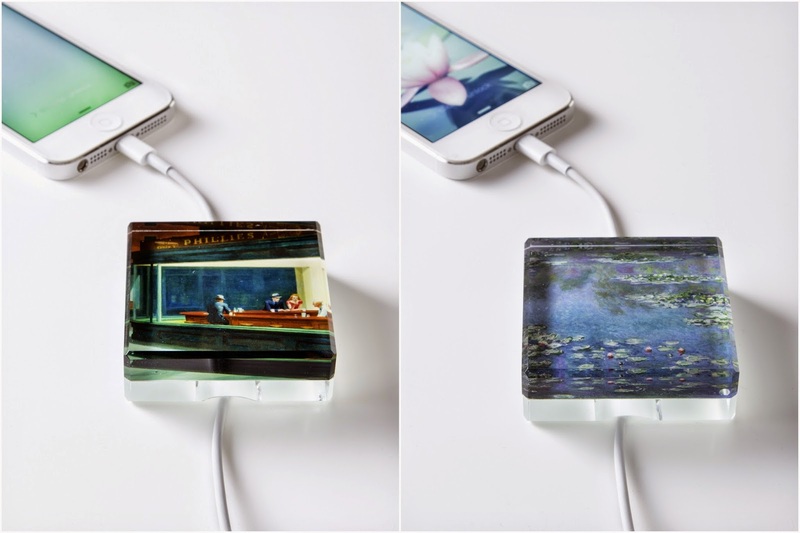 These glass paperweights have a "tunnel" carved into the bottom to hold the charger wires when they're not plugged in. It's a simple, but great idea. I knew we had to have them customized with two of our most beloved works of art. Q. 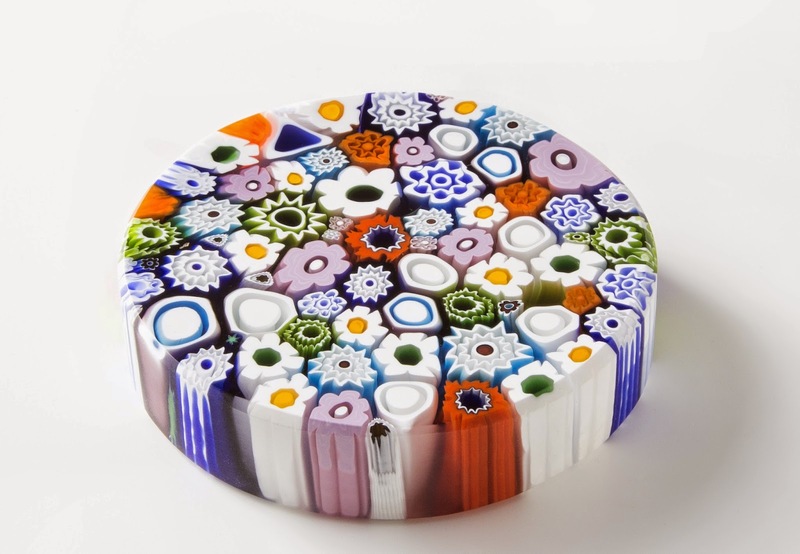 Is our paperweight assortment inspired by our collection in the museum? How so? A. The museum has such a beautiful collection of paperweights. Our new Murano Murrine Paperweight has the classic murrine technique that you can see in our collection, but the straight edges give it a modern twist. It's very unusual and I think that's what makes it appealing. Q. What is your favorite new Spring products in each of your categories? Why? 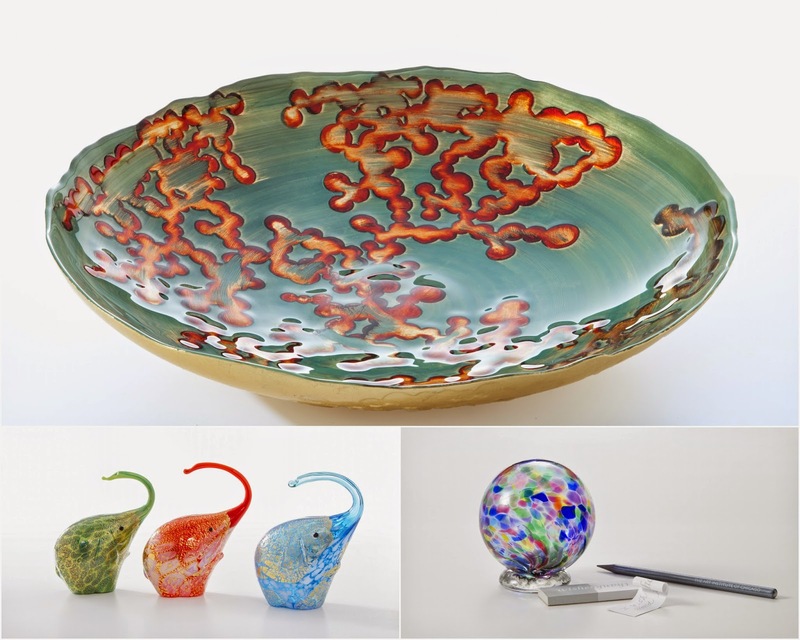 A. I love the colors and beachy feel of the Coral Tree Bowl, the Wishing Ball for the sentiment behind it, and the Murano Glass Elephants are just very sweet. Q. You are just back from a couple different sourcing trips, can you name some trends? Can you name a couple of our spring products that fit these trends? A. For several years now the trend of tech accessories has continued to grow. Usually you see cases, speakers, and docks. Our Wire Weights are something I haven't really seen before. I also saw a lot of brightly colored tabletop items. Entertaining has become more casual and I think people like to have fun with their serving pieces. Our Footed Cake Plate and Canape Plates would be perfect for a little get together.